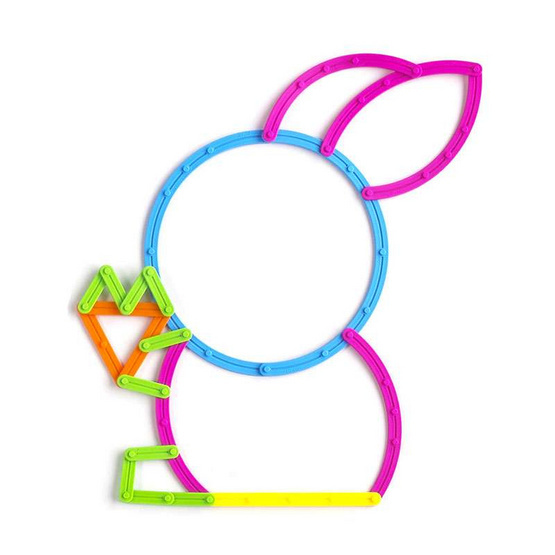 Improve fine motor skills and develop creative thinking skills with this new construction set. 10 different length flexible sticks that snap together. 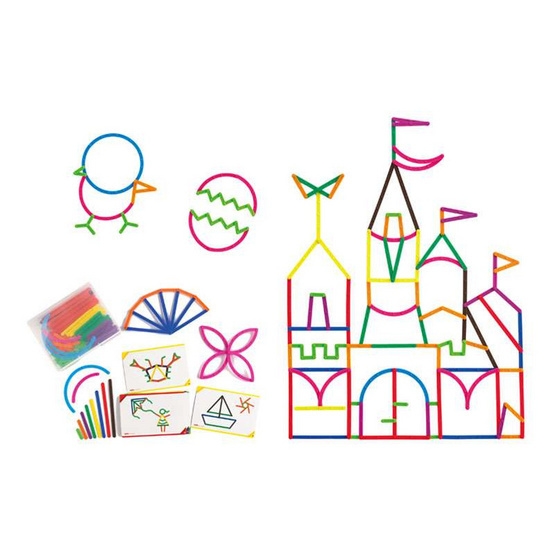 The set includes 200 flexible plastic sticks, and 30 x 2 sided activity cards. 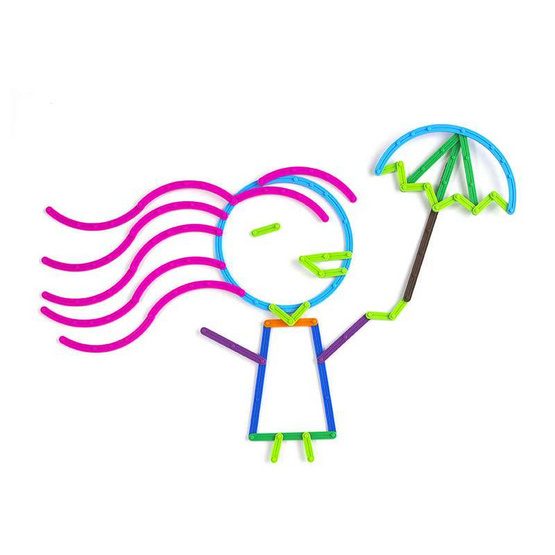 An ideal hands on manipulative for children from 3 to 99! Sizes range from 2.5cm to 15cm.